Android 6.0 system with 1GB RAM, 16GB ROM; large memory make the latest android system smooth and steady. This car radio supports digital TV, Car rear view camera,DVR,OBD,DAB box....More optional functions give you better experience . The Car Stereo Video Player supports 3G/Wifi and Bluetooth: You can enjoy Online Entertainment (support online video(HD), TV, movie, music, radio, YouTube, Yahoo, MSN...) and Online Communication (Web Chat, Twitter, Face book, Google+, Gtalk, Gmail and other services), surfing online and watch video on this vehicle multimedia player , give you more fun when you driving . 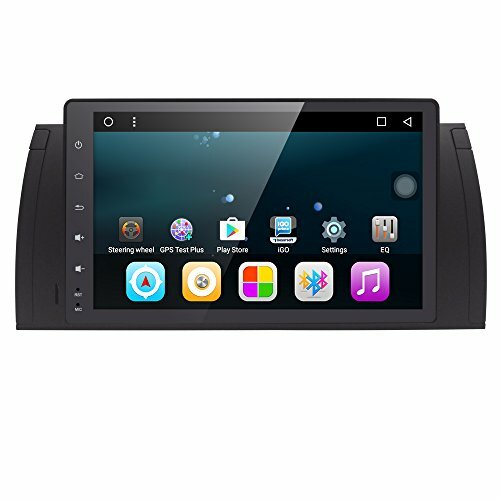 Mirrorlink supporting both iphone and android phones; is built-in the car multimedia player: you can operate mobile APPs on the screen of head units with wireless connection, more convenient The Car DVD unit is Plug and Play: The device will come with all necessary cables, it is easy to install and no need to cut cables , and support 1 year warranty . If you have any questions about this product by HIZPO, contact us by completing and submitting the form below. If you are looking for a specif part number, please include it with your message.